Now before you get all excited and or angry with White is Right. The show has nothing to do with political correctness but rather what we put in our bodies. Many have heard of the diet where basically you just don’t eat anything white, such as sugar, flour, pasta, rice and on and on, however there is one white that is most definitely right in the food world. 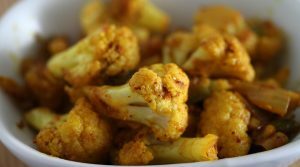 So listen up and tune your ear to A Preppers Path and learn all about Cauliflower! Haha, tune your ear cauliflower! Listen to this broadcast or download “In this case White is Right” in this player! When I was little I never ate it, I don’t think my mom ever prepared it, well if she did I sure wasn’t going to eat it. Yuck, well I thought so then, of course without even tasting it. And while I still prefer it raw to cooked it’s a powerhouse and well worth experimenting if you don’t already love cauliflower. Talk about versatile have you seen all the stuff you can do with cauliflower now days. Pizza crust, tots, rice and you name it. So if your kids don’t like veggies this might be the one they will! 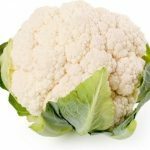 And talk about a boon to our health cauliflower is a known for it’s knock out power with Cancer. So this is just a taste of whats in store but you won’t be disappointed when you join A Preppers Path Tuesday at noon for a look see at which White is Right! See you on Prepper Broadcasting.com! Next: Next post: How a Rifle Sling Can Help!